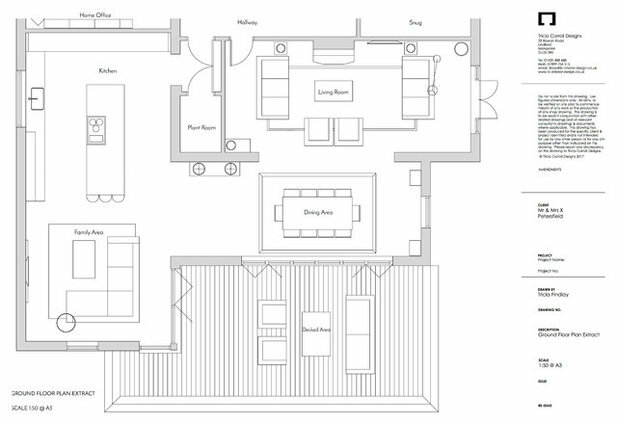 What’s the Best Layout for my Open-plan Living Space? 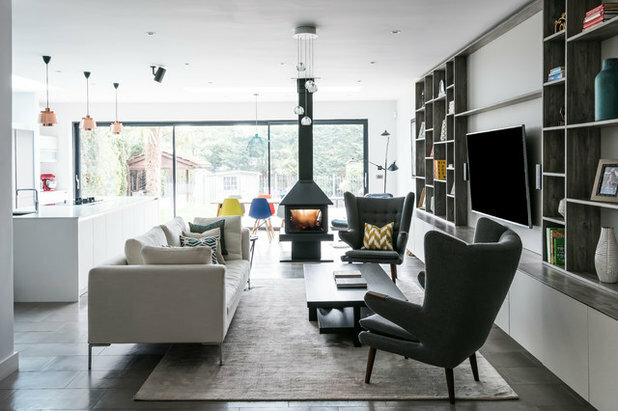 Interior spaces come in all shapes and sizes, and when your room’s open-plan, it can be hard to know where to locate all the elements. 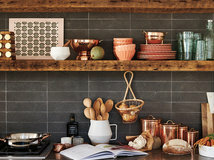 Take a look at these successful schemes to help you decide on an arrangement to suit your living, kitchen and dining space. 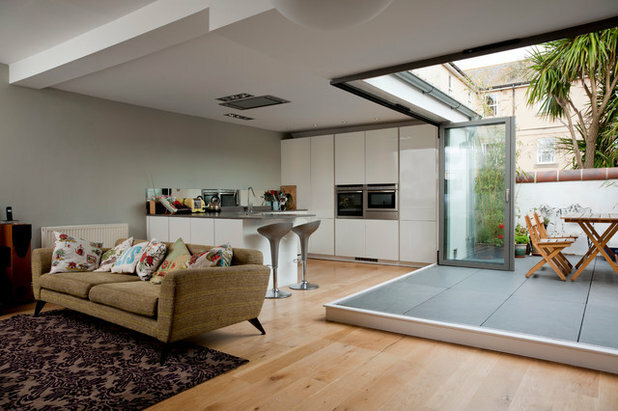 A side return extension provided the perfect space to locate this open-plan kitchen and living area. A sweeping island and long run of base units makes use of the length of the space and leads out to a living room area at the rear. 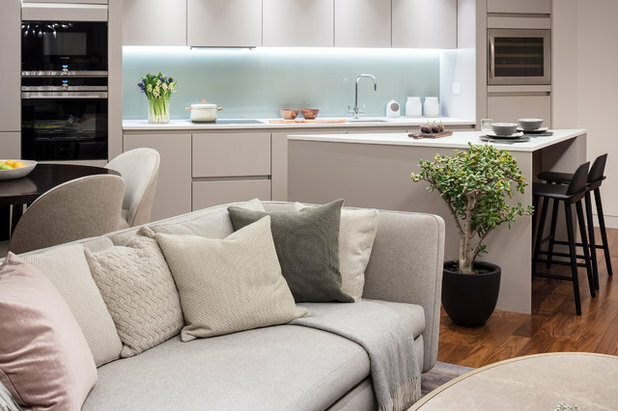 To keep the long, lean space as wide as possible, the designers left one side wall completely free and instead fitted a bank of tall units along the back wall for storage and appliances. 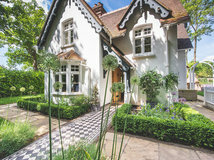 The extension works well on its own, but is enhanced by its open connection to the original house, where there’s a dining area and formal living room. 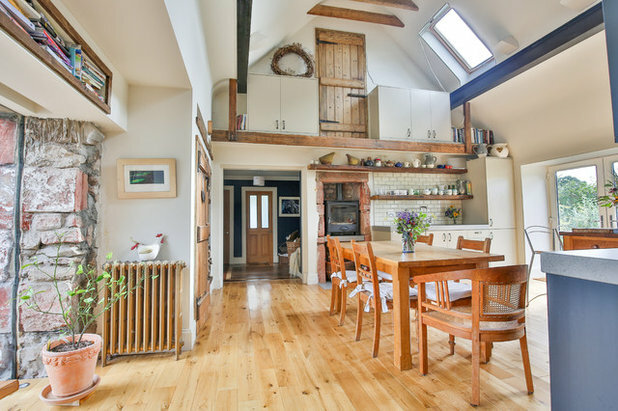 This open-plan space has almost square proportions and lends itself to a grid layout. The four areas consist of a kitchen, a family dining space, a living area and a formal dining zone, each in its own corner of the grid. 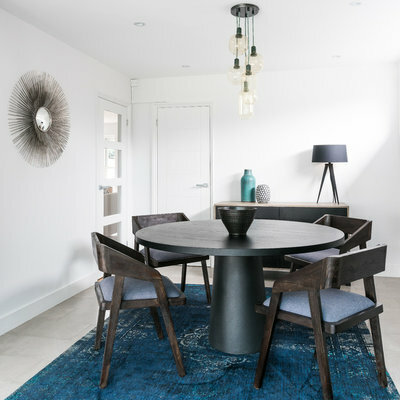 …and dark blue tones in the formal dining area. 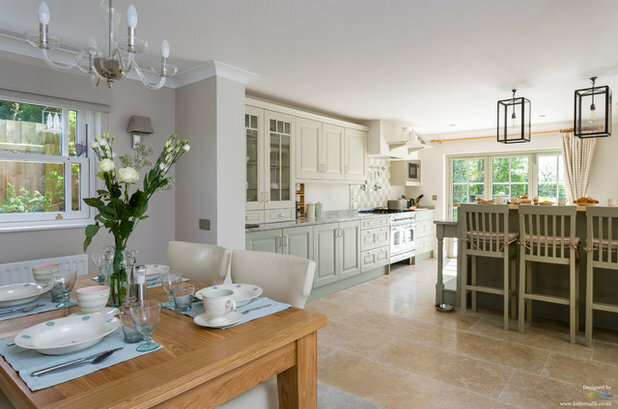 In many open-plan living spaces, the kitchen is positioned in front of the dining area or lounging zone, which then leads out to the garden. 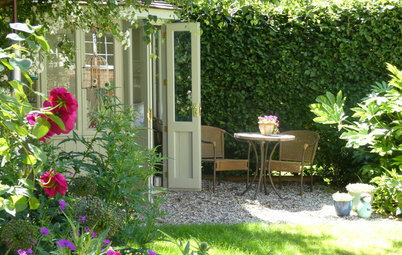 The idea is that you can look out at the garden while you sit and chat. 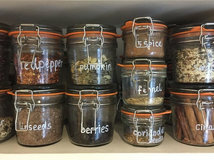 This doesn’t work in every space, however, and the opposite layout can be just as effective. 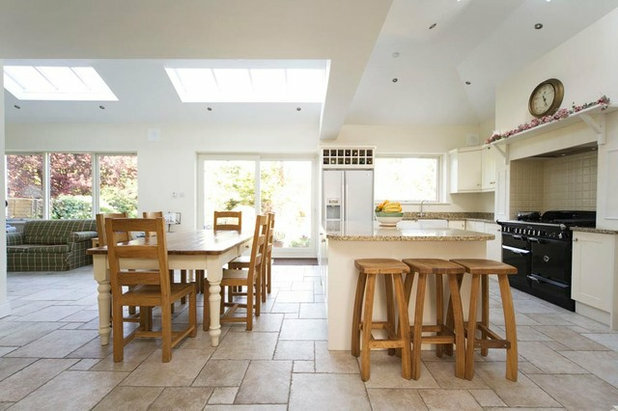 In this home, the kitchen is located next to the patio doors, which brings plenty of light into the area and creates a lovely space in which to cook. The dining area is nearer to the internal wall, which makes it feel cosy and intimate. The side window helps to brighten up the area, but it would be just as inviting without it. 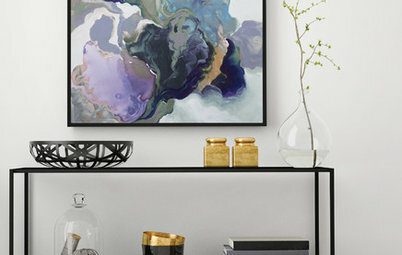 Sometimes an unusual space can throw up challenges when it comes to layout. 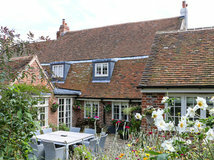 This barn conversion, for example, has doorways or windows on all sides, which limits wall space for locating kitchen cabinets. 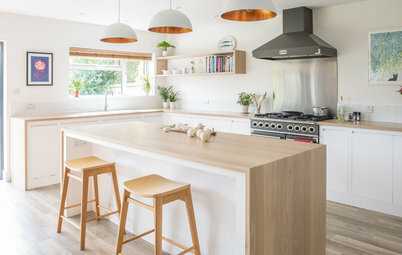 The designers have worked around this by creating a wide-open kitchen that utilises both the back and front of the room. 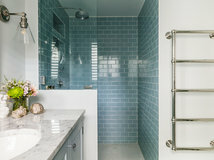 Although the units are far apart, it works because the professional chef who owns the home requested a sink on both runs – one for food preparation and the other for washing-up. 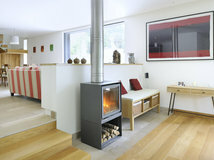 Want to emphasise the living area rather than the kitchen? 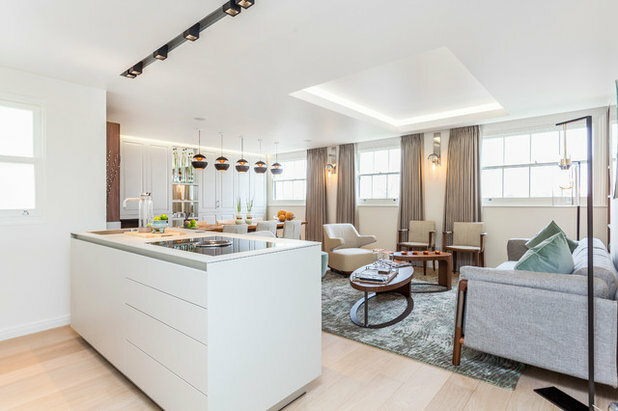 That’s just what the designers have done in this urban flat by tucking the kitchen to the side, leaving more space for the dining zone and living area. 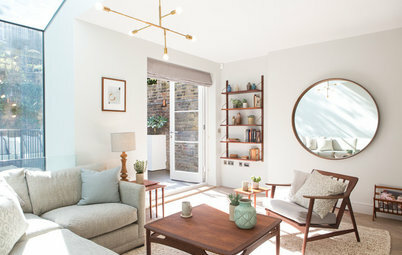 A run of tall units (not seen) sits behind the discreet white peninsula and blends into the wall, so as not to distract from the rest of the room. 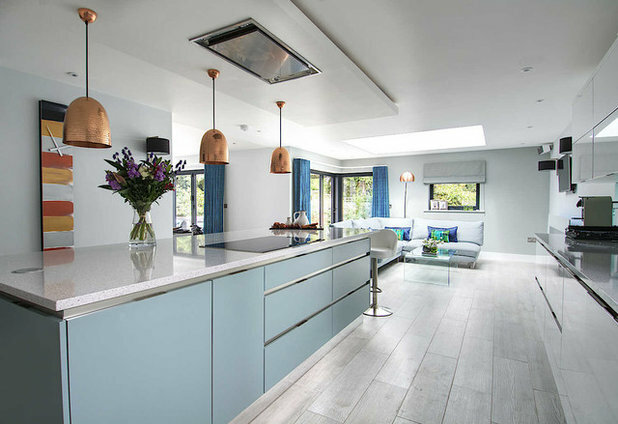 To ensure kitchen fumes don’t waft into the living areas, and to avoid a large cooker hood obstructing the view, an extractor fan is located in the hob on the island. 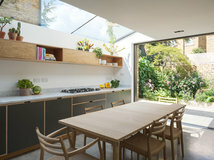 The glazed doors at the rear of this open-plan space bring in plenty of light and increase the connection to the garden. They’ve also aided the decision as to where to locate the kitchen, as the right-hand corner is the only spot where there’s enough wall space for cabinets. 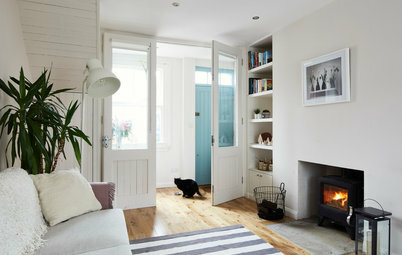 The layout runs horizontally, with a dining area to the left of the kitchen and a living room zone to the left of that. By positioning each area in front of its own door or window, the designers have provided an anchor for each zone. 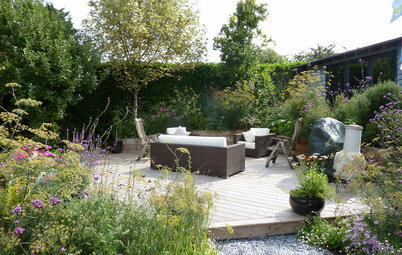 The layout in this space has been influenced by the corner that’s cleverly been carved out to create a terrace. Previously, there was an extension in this patch, but it wasn’t particularly useful. 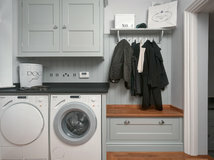 The designers managed to use the space behind the property’s garage to fit a utility room, which meant they could use this area to increase the outside space instead. The patio area helps to create a square grid in the room, with a kitchen in one corner, the living area in another, and the dining area in a third, the fourth corner being the terrace itself. 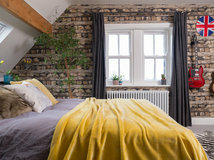 Space is at a premium in this cosy, two-bed flat, and the room’s triangular shape added an extra challenge for the designers. The solution? They embraced the room’s awkward shape and designed this clever triangular kitchen island. 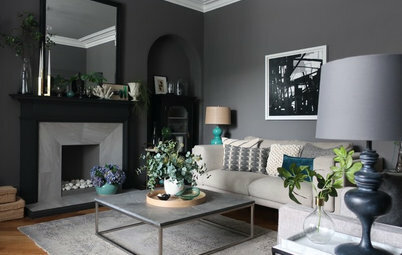 It’s practical and unobtrusive, and helps to define the rest of the layout, as they’ve placed the sofa at the same angle to demarcate the zones. 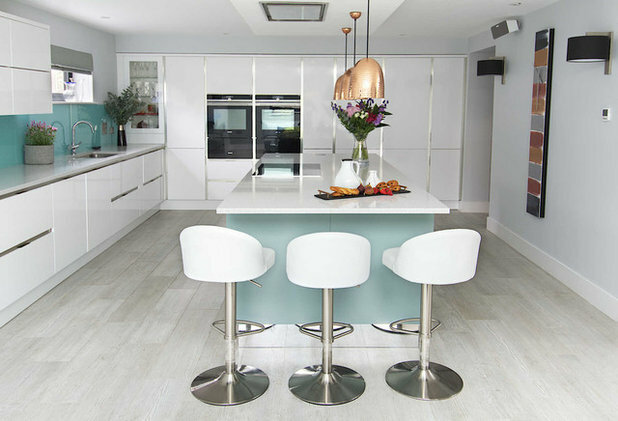 Which of these layouts would work in your open-plan space? Or perhaps you’ve gone for a different idea? Share your thoughts and photos in the Comments section. 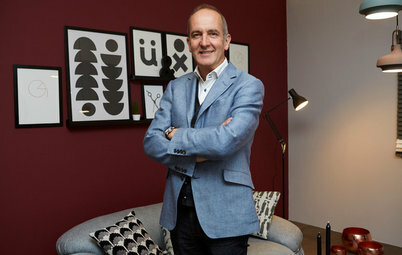 deborah eade....by "inherit" I merely meant 'what came with my purchase' of that wonderful little house. Remember Boulter Street near St. Clements? Yes, janedale, I certainly do! Lived on and off, mainly off, in and around Oxford from university (75) until 94. We finally sold up Howard Street 3 years ago. I have to agree with you Deborah eade. Bar stools have to be one of the most uncomfortable types of seating ever designed. They look good but I generally end up with back ache and joint stiffness so when I get off (thankfully! ), I’m usually bent over and have to slowly straighten up. Not the most glamorous look.